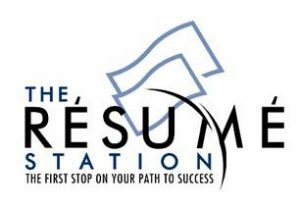 Since 2007, the Resume Station has been assisting clients throughout the country with their resumes and job searches. I have thoroughly enjoyed getting to know clients and hearing about your success stories. It has also been special to be a part of numerous job promotions and changes for many repeat clients as well as helping students entering college or the workforce. Because of other commitments and time constraints, the Resume Station’s business model is changing for 2019. I will continue to assist existing and new clients but ask that you first contact me to determine and schedule availability. Immediate scheduling may or may not be available but I will work with you to determine if I can assist you with your resume, or resume update. Packages will no longer be purchased directly from the website. Instead clients will be sent an invoice prior to the start of services once a timeline has been established. I appreciate the opportunity to continue to assist you with your writing needs and look forward to a new path ahead. The Resume Station, Proudly powered by WordPress.